In desktop QuickBooks, choose Company → Export Company File to QuickBooks Online. QuickBooks Enterprise users should press Ctrl+1 to open the Product Information window and then press Ctrl+B+Q. Then, click OK to close the Product Information window. A wizard starts to walk you through the process of exporting the data. If you don’t have a QBO account yet, you can click Create a New Account and walk through the process of supplying a user ID — typically an email address — and a password. Because you’re not signing in from your browser, you might be prompted to authenticate yourself; in this case, Intuit sends a code to your email address and you must check email to be able to supply the code onscreen. Select the appropriate choice for turning on inventory, and then click Continue. If you opt to turn on inventory, select the date you want to use to calculate inventory value using the FIFO method. Intuit recommends that you use the first day following your company’s last tax filing period. Only QBO Plus supports inventory. If you opt to import inventory, your accounting method will change to FIFO and you will need to file Form 3115 with the IRS. If QBO identifies any errors with inventory during the importing process, the process will fail and you’ll receive an email with instructions on how to fix the items causing the problem. Also be aware that, due to recalculations to FIFO, your Accrual Basis reports and Cash Basis reports will not match. QuickBooks will flag any errors with inventory if they appear during import. 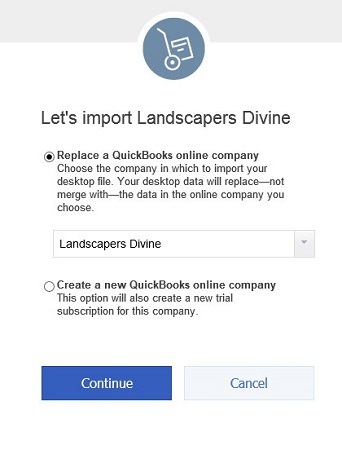 Select the appropriate choice for the location of your QuickBooks company data. 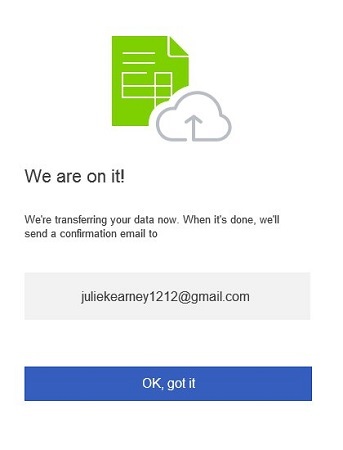 QBO makes a copy of your desktop QuickBooks company file and imports it into your QBO company. A message appears, letting you know that you’ll receive an email when the process finishes. 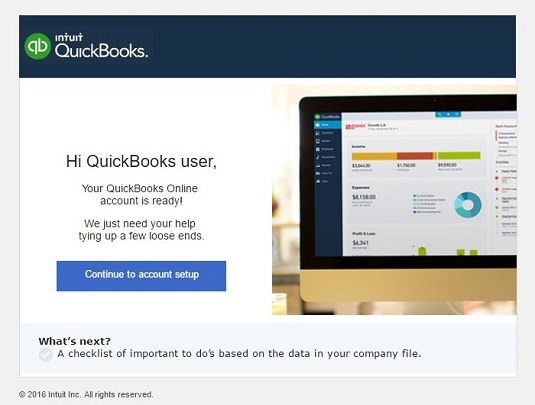 You can close the desktop QuickBooks product. When the email arrives, the message will resemble this one. You can click the Continue to Account Setup button to log in to the QBO company, or you can use the QBO interface. If you click the Continue to Account Setup button in the email, a new browser tab appears displaying the QBO sign in page.